The Union Ministry of Health and Family Welfare has come up with a draft bill on passive euthanasia inviting public comments. Called the Medical Treatment of Terminally-Ill Patients (Protection of Patients and Medical Practitioners), the Bill proposes that a competent patient can refuse medical treatment and desire for euthanasia. As per the Bill, competent patients, including minors aged above 16 years, will have the right to take a decision on this contentious issue and express the desire of euthanasia to medical practitioners attending them. The draft Bill also clarifies the terms active and passive euthanasia. It says that whereas in the former it means something is done to end a patient’s life, in the latter case something is not done to preserve somebody’s life. 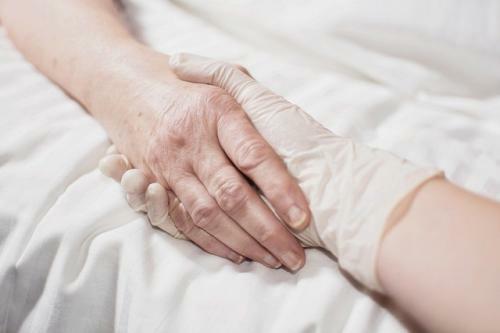 Passive euthanasia, which has been in discussion for at least the past 10 years, has been considered in the draft Bill as a voluntary decision to end life by a competent patient. In 2011, in the case of Aruna Shanbaug, the Supreme Court had laid down comprehensive guidelines to explain the process of passive euthanasia and stated that the guidelines would be followed till the Union government made any legislation on the subject. The bill suggests that medical practitioners will have to inform the guardians (spouse, parents or major son and daughter) of the patient before proceeding further to implement the decision of passive euthanasia. In case of absence of family members, doctors will have to inform the person who regularly visits the hospital to check on the patient. As per the Bill, doctors will have to wait for three days after sharing the information with guardians. The Bill also has the provision of appealing to the high court of respective states by guardians, if they feel that the decision of stopping treatment by the competent or incompetent patient is not an informed one. The Bill says that doctors need to maintain a record containing the personal details of their patients such as their name, age, address, type of illness, treatment being offered and names of guardians. However, the bill does not allow criminals to opt for passive euthanasia. The time for euthanasia, passive or active or whatever, is NOW. With India's older old population set to overtake the 0-6 years age group soon, if it hasn't already, we have a humongous living human tragedy on our hands. Euthanasia is the way out. The case for euthanasia becomes all the more compelling when one considers the dilapidated health services (except for the very rich) that are on offer. It is very unlikely that the health services, especially for geriatrics, will improve for a long time to come and also become affordable. Countries with far better health services and care have allowed euthanasia. By not allowing euthanasia, our Law (and legislators) is showing to be harshly inhuman.